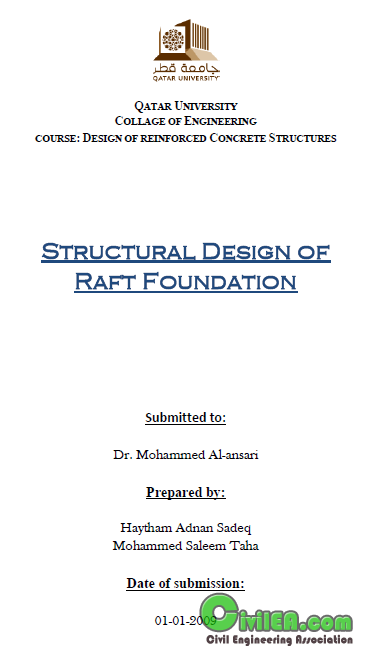 A 31 pages report, with a full discussion and clarification of the design of Raft foundation in loose sand will be shown in details. The columns loads calculation for this raft is also will be shown in terms of the turbidity area of the columns. Final design and detailing will be shown at the end of this report with SAFE software design out file attached. Here you go a direct link.